Now that it’s after Thanksgiving, it’s officially okay to talk about Christmas, and put up the tree. But even if you picked out a festive blue spruce, do you know how you’re going to decorate it? 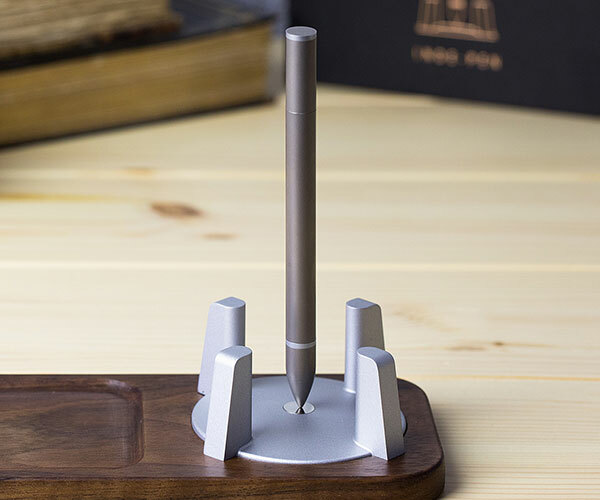 Well, you could put some ordinary department store ornaments on it, or you could go full on geek. 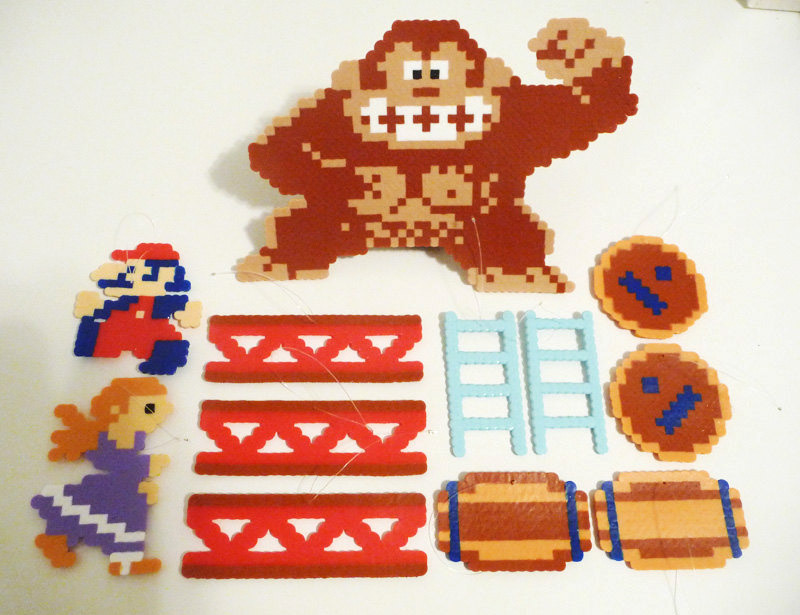 This set of Donkey Kong themed ornaments ($60) comes from Etsy artist LighterCases, and it includes everything you need to recreate the classic Nintendo arcade game on your Christmas tree. The set of 12 pieces includes girders, ladders, barrels, Jumpman and his Princess. 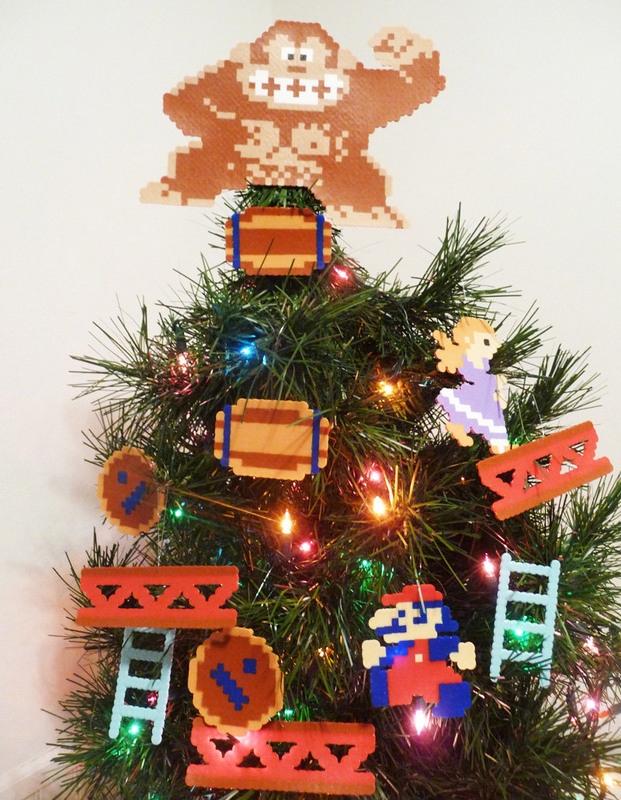 To top things off, it comes with a Donkey Kong tree topper. Each piece is made from melted Perler beads to form the pixels. If you’re not into Donkey Kong, their shop has got lots of other fun holiday ornament sets, including Super Mario Bros., Excitebike, Zelda, Tetris, Mega Man, and even some South Park themed sets among others.